M.S / S.S. Jacket can be provided for hot filtration. 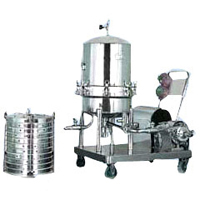 The top dome structure ensures fast & easy removal of cartridge assembly & cleaning of cake. 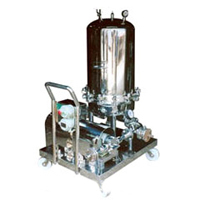 Centrifugal / Gear / Lobe pumps can be offered, which can also be used for liquid transfer.